Antti works as a Consultant with EU and Horizon 2020 related activities. Antti’s work at Spinverse includes preparing proposals for EU funding, participating in the coordination of on-going projects, and technology commercialisation activities, such as conducting market research. In addition to EU proposal preparation, Antti participates in the NanoPilot project, in which Spinverse is responsible for the Work Package for the Development of a Business and Dissemination Plan. 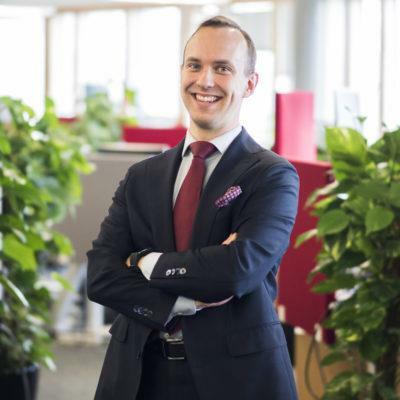 Previously Antti has also contributed in the marketing activities of Spinverse, and has assisted arranging Spinverse’s technology events such as the CTO-Forum. and EuroNanoForum 2017 conference, held in Valletta, Malta. Antti is a M.Sc. (Tech.) graduate from Aalto University from the degree programme of bioproduct technology. He majored in fibre products technology and minored in the Aalto Ventures Program. He did his master’s thesis on biocomposites of high-temperature thermomechanical pulp and polylactic acid. In his free time, Antti keeps himself busy singing in The Polytech Choir and being an active scout leader at the Guides and Scouts of Finland.